It's been a while for the aroengbinang blog displaying Google Adsense ads, and based on that experience as a publisher I want to share 13 tips on how to make more money with Google Adsense. There were times when blogging was still the dominant platform on the web, before being attacked and almost killed by Facebook, Twitter and other social media such as Instagram and Path. 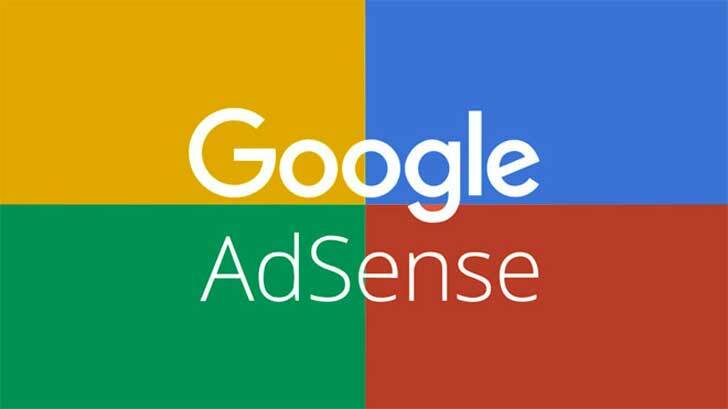 Although I cannot claim to have been successful with Google Adsense, at least according to my own standard, sharing the experience what you should know more about Google Adsense might be useful if you want to increase your income. One thing to remember is that there is no quick way to be successful. There is a process that must be followed, there are mistakes to be made, there are lessons to be learned, and you must conduct experiments regularly to find out better results, and keep abreast of any developments by participating in Google AdSense Webinar. Be careful to follow any advice about Google Adsense if you read it from a blog displaying no Adsense ads. You can get lost if you follow the advice, as there are two possibilities: it failed with Adsense, or it had been suspended by AdSense because of a violation. Never think of getting quick results, never ask friends, relatives, boyfriends or girlfriends to click on ads on your website. Moreover, never click an ad, although using a computer or a different gadget that you normally use to manage your blog. If you do that, sooner or later it will end up with termination. Above the fold ads normally perform better than ads visible after visitors scrolling the page. Ads right after articles and before anything also give good results. Ads at sidebar usually give the smallest revenue, as they are pushed to the bottom of the page on mobile devices. You may make more money by putting a native ad in the middle of your articles. Pay attention to the position and placement of ads so as not to violate the rules. Pop-ups are not allowed. Placing ads adjacent to photos is also prohibited. Play clean. The best ads sizes are 300x250, 336x280, and 728x90. Responsive ads and native ads shall also be considered, as they may make more money on mobile phones. Other sizes usually give smaller income. Moving forward it is predicted that native ads may give better results. Sales promotion ads that encourage people to click (discounts, bonuses, prizes, cheap offers etc.) may give better results than branding ads that offer nothing. I usually block branding ads, dating ads, and religious advertisements, but be careful as some of them may bid based on pay per view. Even though Google has revoked the maximum number of ads on a page, to place two or three ads will increase ads competition to fill in the slots that will potentially improve your income. If the ads and the positions are good, installing two ads can give better results. But this is situational. It's not a formula that applies in all situations. Text/Image ads are better than text ads only, or just images. Image ads look better visually, but not necessarily giving good results. Let text ads compete with image ads to fill the slots. Your pageviews depend on the number of articles you wrote, the regularity of new posts, targeted readers, blog promotions (Adwords, Twitter, Facebook, blog walking, etc. 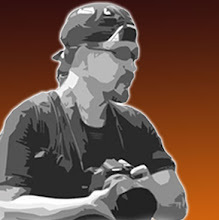 ), and Search Engine Optimization (SEO) of your posts. Blogs with Pageviews above 60,000 per month may get a decent payment from Adsense, at least it can be routine every month, if other factors are favorable. The higher Pageviews, the more attractive it will be to advertisers, and the higher the level of competition to get. And that's good. The faster your web pages are fully loaded, the better they will be for visitors, more visitors can access your blog at the same time, that they potentially improve your income. Use GTmetrix dan Google PageSpeed Insight to find ways to improve loading time. The feature is available in your AdSense account menu, Ads > Ad balance. Slide the slider to the left to display only ads that make the most money for you, and at the same time increase visitors's experience with minimal or no cost. You may put the slider at 70% -80% which does not reduce your AdSense income at all, or a little radical by putting on the number at 50% which may reduce 1-3% of your income. To do A/B Experiment, in your Google AdSense account click: Home > Optimization > Experiment. You may also activate "Let Google run automatic experiments on some of your traffic to find new opportunities." to get advice from Google about settings that provide better income. You can also do experiments on the Blocking control and Ad balance menu. It's a good idea to do experiments regularly, for example every 3 months, as there is a possibility of changes in advertiser, ad formats, or visitor preferences. If your website has been approved to use matched content units, then install it on your website. In addition to giving recommendations to visitors to read old articles on your blog, matched content can also contain advertisements that will increase your income. Auto ads can be installed together with existing AdSense codes. You may activate or deactivate certain features in Auto ads. Matched content, anchor ads, and vignette in Auto ads will only appear when the website is opened with a cellphone. At least make three custom channels, namely for header, in_article, and below_posts, to monitor effectiveness of each ad position and the type of ad used for each position. If there are ads in the sidebar, create one more custom channel for the sidebar. By creating Custom channels you will find out the type of advertisement and the position of the ad that gives the highest and lowest income, and make an evaluation to make improvements. Opt for targetable custom channels, so advertisers can bidding for an ad position. The advantage of Native In-article Ads format is that it is fully responsive and looks big on cellphones, and looks great and beautiful both on desktop and mobile. However, Native In-article Ads format may increase loading time, perhaps because they use high resolution images. But the good news is that Google has launched a new feature that enable publishers to enable ads to optimize 100% for mobile page views.